Sanitair™ Darwin – Air Conditioner Cleaning Darwin will professionally kill and remove all mould contamination for your home or work air conditioning system. 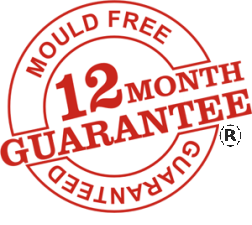 Air Conditioner Clean and Sanitise with Sanitair™ Full Machine Clean will guarantee a 12 month Mould Free period. Keeping you, your family and your staff healthier and your machine running up to 28% more efficiently. Call: 1800 130 168 to locate your local HVAC Hygienist Air Conditioning Cleaning technician in the Darwin region. All Sanitair™ technicians have national police clearance certificates, Ochre cards, SWMS, public liability. Sanitair™ have over 14 years experience in the air conditioning cleaning industry, call us today and find out why we are Australia’s leaders in Professional Air Conditioning Cleaning & Sanitising. Sanitair™ Free Call 1800 130 168 your local Authorised Sanitair technician. Is your Air Conditioner Making Your Family Sick? Countless irritants are airbourne and for those with allergies or asthma; it’s even worse. Mould Spores, Bacterial Contamination, Odours, Pet Dander and other germs can make your family sick. You can help, air conditioning cleaning Darwin, Sanitair™ will professionally rid your system of these harmful contaminants and your family will notice the difference. Aircon cleaning Darwin, Howard Springs, Palmerston, Coconut Grove, Casuarina, Humpty Doo, Tiwi, Winnellie, Nakara, Willner, Casuarina, Nightcliff, Woolner, Parap, The Gardens, East Point, Hidden Valley, Malak, surrounds. Darwin is the capital of Australia’s Northern Territory and a former laid back frontier outpost. While it still retains its relaxed charm, it has become a sophisticated city. It is both modern and multicultural, boasting a population made up of people from more than 60 nationalities and 70 different ethnic backgrounds. The city is characterized by its many exciting cultural festivals and weekly food and craft markets. Tourism in the top end consists of cruising the Mary River Wetlands, exploring the Territory Wildlife Park in Berry Springs, bird-watching in the mangroves, visiting the Darwin Military Museum, flying over the Kakadu or submersing yourself in the Northern Territory Aboriginal Culture.